Yes, Super Family just got bigger. After having the New 52 Superman killed in the next days, DC replaced him for the pre-Flashpoint Superman; the one we all love and know. The thing is, he didn't come alone. Lois Lane and his son Jon came along. 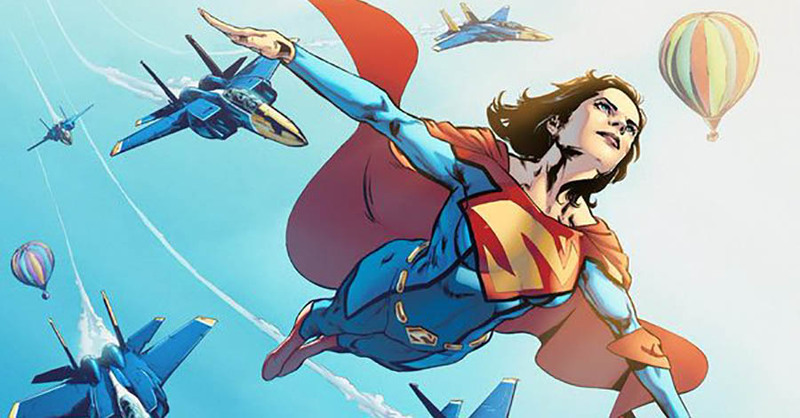 So, what happens to the New 52 Lois Lane? For what I understand, she'll inherit some of the Superman powers and by doing so she will become Superwoman to honor her deceased friend. She'll accept the new Lois Lane in Metropolis taking her place, since she's afraid her new enemies would come after the ones she cares about. So, no secret identity for her, I guess. And that establishes the pre-flashpoint Clark and Lois in the new timeline. However, she will soon find out her new powers will work as both curse and blessing. She'll be able to do good to the world with her powers, but at the same time they will be killing her since her human body is not able to handle those new abilities. Not much is said about the new title, but I guess it will show Lois Lane searching for a cure while trying to make the world a safer place; even if that's the last thing she does. Kind of sad, right? But I guess there's something good coming to this new character. Let's find out very soon!